After the Celtics completed their blockbuster for Kyrie Irving last offseason, an NBA executive asked me why everyone was focused on the status of Isaiah Thomas’s right hip, but not Irving’s left knee. The 26-year-old All-Star’s knee issues trace back to three years ago. In May 2015, an MRI revealed Irving had tendinitis in his left knee. One month later, he broke his kneecap during the NBA Finals. He played through pain in the same knee during the 2016-17 season and playoffs, and the discomfort lingered this season, his first with Boston. There have been rumblings all season that Irving would eventually need to get surgery, and he did just that on March 24, undergoing a “minimally invasive procedure” to remove a tension wire that was implanted in his left knee in 2015. At the time of the procedure, the Celtics announced that Irving would return to basketball activities in three to six weeks. But on Thursday, less than two weeks later, the diagnosis got worse: The team announced that Irving will undergo another procedure to remove two screws implanted during the same 2015 surgery after “pathology indicated the presence of a bacterial infection at the site of the hardware.” Irving will now be out four to five months, according to the Celtics, which will keep him out of his first postseason with Boston and place his return around the start of training camp for next season. When the Celtics were searching for their new president of basketball operations in 2003, Red Auerbach told Celtics co-owners Wyc Grousbeck and Steve Pagliuca, “Go with Danny Ainge. He’s just lucky.” That’s certainly been the case the past five seasons. Ainge smashed the Blow It Up button and got a truckload of Nets picks for Paul Pierce, Kevin Garnett, and Jason Terry. Ainge hired Brad Stevens, who has already established himself as one of the best coaches in the league. He nailed their high picks, including Jaylen Brown and Jayson Tatum, and turned cast-offs like Jae Crowder and Thomas into starters for a playoff team. Their system has brought out the best in players like Evan Turner and Kelly Olynyk. All while creating cap space to sign two max free agents, Al Horford and Gordon Hayward, and the assets to trade for another in Irving. Hours after Hinkie made these comments, Irving put 31 points on the Knicks and looked like an All-NBA player worthy of a place on some MVP voting ballots. But as Hinkie said in that same panel discussion, we so often take a short-term view—one week or one month or one season—and figure “it will never change.” We get caught up in the now, even though history has shown that things can change rapidly in sports. We’ve seen countless examples that prove Hinkie’s point. Just a few years ago, the Process was criticized by pundits and NBA folks alike, but now the Sixers are the envy of the NBA. The Dwight Howard–Andrew Bynum–Andre Iguodala blockbuster was initially dubbed a victory for the three teams involved, but ended up being disastrous for all. Robert Griffin III looked like the NFL’s next great quarterback until he tore his ACL and never bounced back. The Blue Jays’ acquisition of superstar shortstop Troy Tulowitzki initially looked like a major win until an assortment of injuries accelerated his decline. And even in the NBA this season, we’ve seen injuries complicate the situations of a long list of stars, unproven and proven, from Markelle Fultz to Kawhi Leonard. Irving had a spectacular season, while the Cavaliers have already traded away Thomas and Crowder, and the Nets’ first-round pick is currently slated to have the seventh-best lottery odds. Boston looked like the deal’s winner all season, especially as the Cavs imploded around the new year, but that could all change if the Cavs use the Brooklyn pick to draft a future superstar or trade for a proven one. Patellar tendinitis can be a precursor to more significant problems, as it can increase the risk for degeneration or tearing. The fact Irving will undergo two surgeries on the same knee that he seriously injured three years ago should be somewhat alarming. A long list of NBA stars have seen their careers derailed because of bad knees. 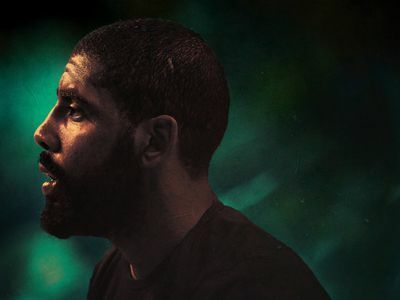 We don’t know what’s to come for Kyrie (though the current outlook is positive), but we do know that the Celtics have put themselves in good shape to work through this setback. Hayward was filmed jogging the other day and says he’s made “solid progress” in his recovery. In the absence of Boston’s two superstars, Tatum been given the go-to scoring role and is blossoming as a result. Young players like Brown and Terry Rozier have elevated their play on both ends of the floor. Ainge is still sitting on a pile of high-value assets, like the Kings’ first-round pick in 2019 (or the Lakers’ pick this year, if it jumps into the 2-to-5 range), and a couple of other picks. Tatum and Brown will be entering their primes around the next time Boston could potentially create max cap space in 2020 and 2021, depending on what happens when Irving can become an unrestricted free agent in 2019. The Celtics will be a tough out this postseason even without Irving and Hayward, and, if they return at full health, they will be contenders. The Celtics built, piece by piece, a flexible foundation that gives them multiple pathways toward a championship. When opportunities present themselves—like they did last summer with Irving—they’re able to react. Whether that was the right decision remains to be seen, but they’ve made enough good decisions over Ainge’s tenure to overcome whatever luck comes their way.